Knowing one or true coding languages is great, but being a true polyglot developer is how to achieve true master status. I read somewhere that programmers should learn a new programming language every year (I think it's code complete, not sure, though), but if you cannot do so, I suggest you at least learn the following five programming languages to do well in your career. Every company loves polyglot programmers and an well-rounded coder, who is versatile enough languages to write a quick script, and can also write complex Java programs, is a valuable coder indeed. In fact, it's almost mandatory for a senior developer to learn more than one language. Interviewers are giving more attention to an engineer who has good experience with multiple languages, e.g. C++ and Java go quite well together, as do Python and Java. I personally like software engineers who have strong experience in either C++ or Java and can write scripts in Groovy, Perl, or Python. Many times a small script is quick and good enough for an ad-hoc task and I don't want my programmers spending a full day in Java to write a program to read CSV files or to grab a message from a TCP/UDP port. Why did I choose these five programming languages? My reasons are simple and practical. I have chosen languages based on their usage, paradigm, and popularity. 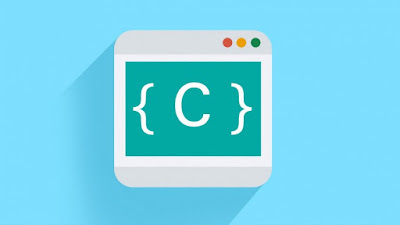 C is the one language I strongly believe developers should learn at the very start of their careers because it will help them to get closer to the system and understand key programming concepts which are often hidden behind JVM or CLR. Python is my choice of scripting language, though you can also substitute it with Perl or Groovy. Though when it comes to online support, Python is great. There are lots of python modules available which can do your job in a couple of minutes. Similarly learning an object-oriented language and one functional programming language like Haskell or Scala will widen your thinking and programming senses. You will find more reasons to learn these five programming languages in this article. Without further ado, here is my list of five programming languages which every programmer or software developer should try to learn. It contains a mix of languages, e.g. object-oriented, functional, and scripting languages, which offer a low level of control and languages which are widely used in server-side development. Java is one of the most popular languages of the last two decades and rules the world of server-side application development. It also holds sizable market share in mobile games and application development using Android and in the enterprise web development world. Java was started with the simple concept of WORA (write once run anywhere) but over the time, Java has actually come to run everywhere. You should learn Java to build robust, scalable server-side applications. You can build projects of varying complexity in Java, and it has great tools, technology, and community around it. Why should you learn Java? You will learn how to focus on application design and code structuring without worrying about system-specific details and memory management. JVM will take care of it. If you decide to learn Java then The Complete Java Master Class on Udemy is a good course, to begin with. It covers all essential concepts of Java in good detail. By the way, if you need more choices and don't mind learning from free courses, then you can also check this list of free Java Courses for beginners. Java is used by some of the biggest organizations and you can reach lot of people by writing Android apps. 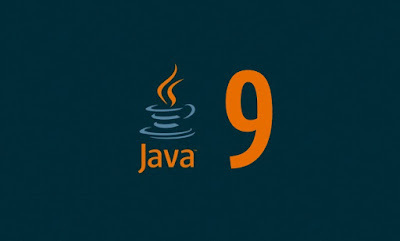 If you are still not convinced, I suggest you check out these 10 reasons to learn Java. Python is one of the most taught languages in school and colleges across the world. In the USA, Python has replaced Java in many academic courses as the preferred language to start with. What will you gain by learning Python? A lot. Python is one of those languages which can be used as a scripting language as well as proper object-oriented language for a large project. Many popular websites including Reddit are built on Python frameworks like Django. In recent times, many large organizations have been switching to Python-based frameworks as well. It's also increasingly used for new generation technology like machine learning, artificial intelligence, and data science. No wonder, because it has got some awesome machine learning libraries like TensorFlow, Scikit-Learn, and others. I personally use Python for writing scripts though, and it is very useful for doing something quickly, e.g. you can write a UDP message listener in 5 minutes in Python as opposed to 20 minutes in Java. Forget about compiling, packaging, and then using, just write Python scripts for ad-hoc tasks. If are interested in learning Python then The Complete Python BootCamp is a nice place to start with. If you need more choices and don't mind learning from free resources, then you can also check this list of free Python courses for beginners. Also, if you are confused about wheter to start with Java or Python, take a look at this infographic, which compares Java with Python. And, if you still not convinced, then you should check my post about 10 reasons to learn Python in 2018. Knowledge of this language has helped us to decide which feature should be implemented on the server-side and which can be handled on the client-side, e.g. many validations we used to do on the server-side were migrated to the client-side. You cannot be a programmer without knowing C or C++. This is a very strong statement but I am saying this from my experience. Software engineers or developers who know C are simply better than programmers who don't know C and it cannot be just plain coincidence. It's one of those languages which you must know. I learned C during my academic training and learned many key programming concepts along the way, e.g. structure, arrays, pointers, memory management, etc. C is still the most preferred language for system programming and it has given Java solid competition at the top of the table for the last two years. If you want to learn this wonderful language, then C Programming for Beginners is a good place to start. It is also one of the oldest mainstream languages, and has survived for more than four decades now. If you want to learn C++ instead of C as they are quite similar and allow you to write low-level code for systems and drivers check out my list of FREE C++ Courses for beginners. Scala is a language which was created based on the best practices of the last 20 years. It is a functional programming language so it offers a different paradigm than other object-oriented programming languages, which will improve your thinking and code sense. Though there are many functional programming languages available e.g. Haskell, I have chosen Scala because, as a Java developer, I found learning Scala easier than learning Haskell. Someone can take that as a challenge and learn Haskell as well but for the practical purpose, I think learning Scala is more relevant for Java developers. For C++ programmers, Haskell makes more sense to me. To be honest, you can choose any functional programming language but chose one which has commercial demand. As a professional developer, I prefer to invest my time on something which can be used in my career and if you want to learn Scala then Beginning Scala Programming is a good course,to begin with. No matter how many programming languages you learn, you must follow the coding and design principles given in Clean Code by Bob Martin to become a professional coder. It's those skills which will help you most in your programming career. That's all on this list of top 5 programming language every software engineer should learn. Some of you might find the list as 5 programming language Java developer should learn, which is also right. Studying languages that offer different paradigms is the best way to improve your programming skill and help you to do your day to day tasks effectively. Thanks for reading this article . If you like these programming languages then please share with your friends and colleagues. If you have any questions or feedback or any other programming language which you think every programmer should learn then please share with us. If you like this article, then please share with your friends and colleagues, and don’t forget to follow @Dzone and javinpaul on Twitter! P.S. — If you need some FREE resources, you can check out this list of free data structure and algorithm courses to start your preparation.